We are blessed at SLF to have Senior Pastors Craig and BeKay Cook as our Shepherds! They love God with all their hearts, and are sincere in ministry and the call that God has placed upon their lives. They believe in flowing in the gifts of the Spirit and allowing the Holy Ghost to lead them at all times. They believe in teaching others to flow in these gifts as well and encourage them to fulfill the call God has on their lives. They have a heart for those around them and strive to win the lost for Jesus by not only speaking to them, but living their lives in such a way that Jesus shines through them everyday. They are both active members of the Praise and Worship Team, and BeKay also serves as the Vice President of the Ladies Ministry, as well as, helps teach the Adult Sunday School Class. 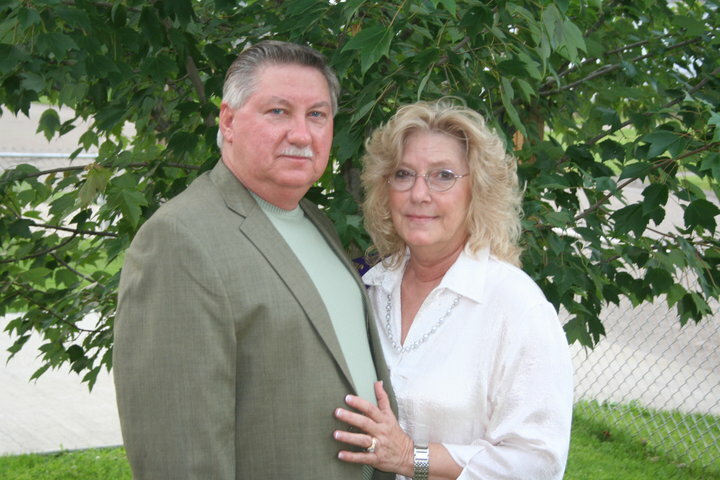 They are originally from Wyoming County, WV and moved here in 2007 to become the Pastors of SLF. They have been married for 34 years, and have 2 sons, 2 daughter in-laws, 3 grandsons, and 1 granddaughter. We Pray God Blesses them richly and many souls be won into the kingdom of God. They have stated that they will be back to visit us from time to time. Remember to Pray for them as they begin this New Journey in their Lives. We love you Both. After being called to a different ministry for a season, Paul and Susie Smith felt called to returned to SLF in 2007 to serve in the capacity of Associate Pastors at SLF. They have felt the call on their lives to serve God for many years. They both have a heart for outreach ministry and strive to reach the lost for Christ. They currenty own and operate Faith Christian Tours where they take groups of people to different parts of the U.S. Pastor Paul not only drives the tour buses, but he also sees this is a minsitry opportunity and witnesses to all passengers about the love of Jesus. They have been married for 39 years and have 1 son, 2 daughers, 1 adopted daughter, 3 grandsons, 2 granddaughters, and 1 great granddaughter. Pastors Jim and Crystal love God and strive to serve Him in everything they do. Pastor Jim wears many different hats at SLF. He serves on the Church Board and is head of Missions and can also be found in the soundbooth on Sundays and Thursdays. Crystal also serves in many different capacities. She volunteers as the Pastor's Secretary, is an active member of the Praise Team, assists in teaching Childrens Church, and volunteers in the nursery. They have been married for 10 years and love to spend time with their 2 children, ages 6 and 8. Earl and Trish Anderson have been serving God for many years and seek to see His will done in their lives and those around them. Earl is head of Security, head of the Finance Department, and Vice President of the Church Board. Trish is the Director of the Praise Team, nursery volunteer, assists with children's church when needed, and assists in keeping the Church's Facebook page up to date. They currently reside in Charleston, WV and are happily married, and have 2 sons, 2 daughters, 2 grandsons, and 1 granddaughter. They are also actively involved in Road Riders for Jesus, Chapter 23, which is an International Motorcycle Ministry based out of Hillsboro, Missouri. Earl serves as the president and Trish serves as the secretary. Together, and as a chapter, they strive to minister throughout the community sharing Jesus. Pat Kail loves to serve God by serving others. She is head of our Hospitality Ministry, as well as the President of our Ladies Ministry, she also teaches the Teen Sunday School Class. She and her husband, Buzzy, have been married for 41 years and love to spend time with their 2 sons, 2 daughter in-laws, and 3 grandchildren. They enjoy spending time with their dogs that are like their own children, as well as their grand-doggies.